The Fertility Education and Medical Management (FEMM) Health has launched an app designed to provide an interactive platform for women to get personalised daily feedback to achieve their health and fertility goals. The app is created to support and enhance women’s health globally. It provides a means for women to learn about their bodies, and achieve health and reproductive goals via the platform’s personalised insights. The app uses our proprietary algorithm to flag any potential issues seen in a woman's cycle. We also provide a platform for women to reach a FEMM educator or doctor when an issue is flagged. “It is not just another period predictor. We believe a woman’s body is more than her period and know that simply predicting periods does not help women to understand their bodies and manage their health,” as disclosed in a media chat. 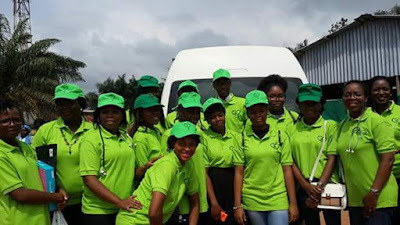 According to FEMM Teacher and Medical Practitioner, Dr. Nkechi Asogwa, women can track their period, monitor ovulation and other physical and emotional observations on this platform in order to understand their hormonal changes and health patterns. “The app allows women to accomplish goals such as tracking their health, and achieving or avoiding pregnancy. It also provides additional support for women to ask a FEMM health coach questions, or get link to a FEMM trained doctor,” she expressed. Its quest is to support more women globally, the app is now available in Android for English and Spanish speakers. To further pursue its course and commitment to women’s health, science and research, FEMM partners the Reproductive Health Research Institute (RHRI). “RHRI conducts ongoing peer-reviewed research and study, and trains medical providers in the latest research and evidence-based protocols for the diagnosis and treatment of women’s health,” Asogwa expressed. Accordingly, the Doctor, who also the Director of Doctors Health Initiative, said that FEMM's mission is to educate, empower and provide comprehensive health support for women as they strive to achieve their health and reproductive goals. It provides a health ecosystem that includes a network of doctors, health coaches, researchers, clinics, medical training for doctors, education and technology to help women to manage their health. This comprehensive health programme reaches women to understand their bodies and how to recognise hormonal and other vital signs of health. Among the vast benefits filed up for women, the app provides them with support through its free Health App to help women track their health and reproductive goals; provides accurate medical testing and treatment based on new research and medical protocols; continues to conduct research to provide women with the latest diagnostic tools and treatments for their health, and offers training to individuals so that they can teach FEMM health tracking to women and training to medical professionals in the FEMM methods and protocols.